Great news for those who love authentic Belgian mussels and beer. Catherine Duwez, the previous owner of Cafe Montrose, has packed up her mussels and moved them on over to The Broken Spoke Cafe. Cafe Montrose served some of the best mussels I've ever tasted (outside of Belgium, of course) and they had a great selection of Belgian beers to go along with them. Sadly, Cafe Montrose closed last year and I was having to make due with lesser mussels from other restaurants. 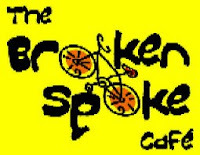 The new menu featuring Catherine's French and Belgian cuisine is available on The Broken Spoke Cafe's website. And, along with the new menu, they've added Stella Artois and Chimay White on tap and Chimay Blue and Duvel in bottles. The restaurant is BYOB friendly, but only for wine (I was corrected, it does not include Belgian Beers, bummer). I can't wait to get out there and enjoy them again. I believe their BYOB policy is intended mainly for wine. I double-checked and you are correct. That's a bit of a shame, but at least they have a few Belgian beers to choose from. I am one of the owners (Roy). You can BYOB anything but beer. We plan to expand the license to at least beer & wine in the near future. Thanks for the update Roy. Despite my best efforts, we still haven't made out there yet, but I'll definitely ask for you when we do. Cheers. We now have 13 beers...10 Belgian and 3 American! We're saving for a new keg cooler so we can add six more on tap. The newest beers are Witches' Brew (750 ml bottle), Delirum Nocturnum, Blanche de Bruxelles, Kwak, and Lindeman Framboise. We are also trying live music on Tuesdays. Thanks for update Roy, glad to hear that you are continuing to update the beer selection. Houston needs more restaurants that have an appreciation and understanding of craft beer.